I first visited Yelapa in 1990, long after it had been discovered by travelers who seek the road less traveled. I immediately fell in love with the place, its magic, its beauty, its tranquility and the friendliness of the people who call this small Mexican village home. You too will leave feeling the same way. 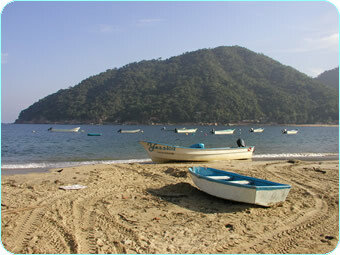 Yelapa is a very small village situated on the Bay of Banderas, Southwest of Puerto Vallarta. 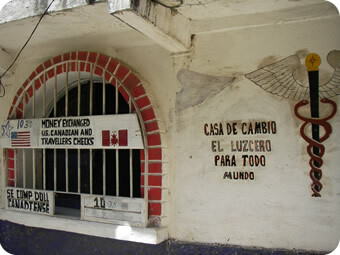 Its origins are of the typical Mexican fishing village. Today, the local expatriate community and tourism contribute to the local economy. There are no permanent roads leading to Yelapa, only a jeep path not suitable for regular travel. Everyone and everything comes to the village by boat. This fact greatly contributes to the tranquility of Yelapa and helps keep many of the old ways intact. 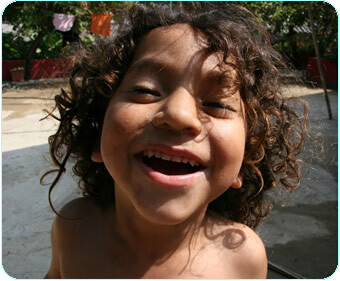 Yelapa first became popular in the late 60's and early 70's by people seeking an alternative lifestyle. What they found was truly magical. Many are still living there today. Today the backpack crowd still gravitates to Yelapa, but it’s also seeing a different kind of visitor. These folks have shed the cloistered trappings of the glitz hotels and condos and have realized there really is a Mexico outside of the hotel strip. 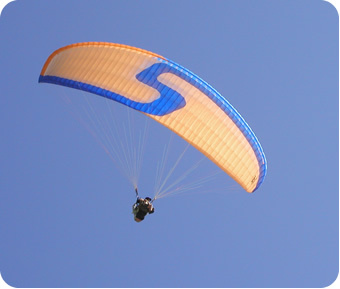 They take hikes up river, visit the waterfalls, hang glide, enjoy great food and a wonderful culture. The village is in full swing during the "High Season" which runs from November through May. There are a number of good restaurants, small stores with everything you need, entertainment and even Internet Cafes. The "Low Season" is Yelapa's rainy season. Temperatures and humidity are higher as the Jungle comes to life as it greens up and regains its lushness. This still is a good time to visit as rates are cheaper than the High Season. Be sure though to bring your insect repellant or treated clothing. Electricity came to the village only a few years ago......and yes, cell service is available depending on your carrier. Broadband internet service is available throughout the village, if you must stay connected. For a satellite view of Yelapa, go to the coordinates of 20 degrees, 29' 16.94" N. & 105 degrees, 26', 52.46" W. on Google Earth. For General Information on Puerto Vallarta, visit the Puerto Vallarta Travel Guide. Here will find about all that there is to see, do (and eat) for a wonderful time in Puerto Vallarta.